I vividly remember the first time I saw Street Fighter II in the arcade. Stepping into the Fantasy Fair arcade at Woodbine Centre, that game looked better than everything else around it by a country mile. Its characters were huge and highly detailed. They also moved with a realness and fluidity that I’d never seen before. Going above and beyond even that, little touches such as each character’s walking animations being drawn differently whether they were walking forwards or backwards added to the game’s appeal. It may not be the best-looking Street Fighter game today, but it still looks great by today’s standards and its look is now iconic. Going beyond the chip-tune sound of the time, Street Fighter II upped the ante with a soundtrack that pushed the bounds of what video games should sound like. Synthesized versions of real instruments along with complex compositions made for an audio backdrop that sounded like real music from all over the world that truly represented each fighter. Even today, when you hear the opening horns of Guile’s theme, you know where it’s from. Not necessarily soundtrack related, but the game’s sound effects also deserve some love here. Each punch and kick cracks and smashes the ear drums with authority. Along with that, having characters yell out the names of their special moves only added to the game’s signature sound. What seems to be the standard for every fighting game wasn’t so when Street Fighter II was launched. This was the game that blazed the trail for selectable fighters with unique moves and attributes. Prior to that, you only got to play as Ryu or Ken, who were identical copies of each other. Having multiple playable characters widened the dynamics of the game considerably. From all the unique possible match types, to players being able to find a character that fit their unique style, it opened the doors for players to truly express themselves within the game. Beyond your standard punches and kicks, characters had the ability to perform unique and even more powerful moves through the inputting of certain joystick and button combinations. While the original introduced the concept, Street Fighter II loosened up the input requirements to the point where special moves became a core aspect of the combat. Besides the gameplay ramifications of having easier access to these moves, they looked so damn cool for the time. As a youngster, I was so mesmerized at the thought of having access to those moves that I put in multiple days of practice in order to be able to perform them on command. As a Zangief player, how do you fight your way through Dhalsim’s fireballs and stretchy limbs? This is probably the most extreme match-up question of them all, but every match really pushed your knowledge, dexterity, and psychology to the limit as you tried to find every advantage to beat your friends or your rivals. With each character possessing unique tools and with a combat engine open enough to allow for different fighting styles within each character to be successful, it pushed players in ways that games hadn’t up until that point. Furthermore, combos were born out of a happy accident. While they were never meant to be in the game, a hole in the game’s design allowed for certain moves to combo into each other if the first move connected. Intended or not, it ended up becoming a core tenant of fighting game design going forward. Off the strength of everything it got right, Street Fighter II became a smash hit. So much so, that arcades had multiple Street Fighter II machines to meet the demand. Even outside of the confines of dedicated gaming spaces, venues that wouldn’t otherwise have games, such as convenience stores and laundromats, had Street Fighter II cabinets to allow the fight to carry on. Then came the merchandise, movies, and TV shows. Almost 30 years later, Street Fighter II is still fun to play and its impact on the world is undeniable. 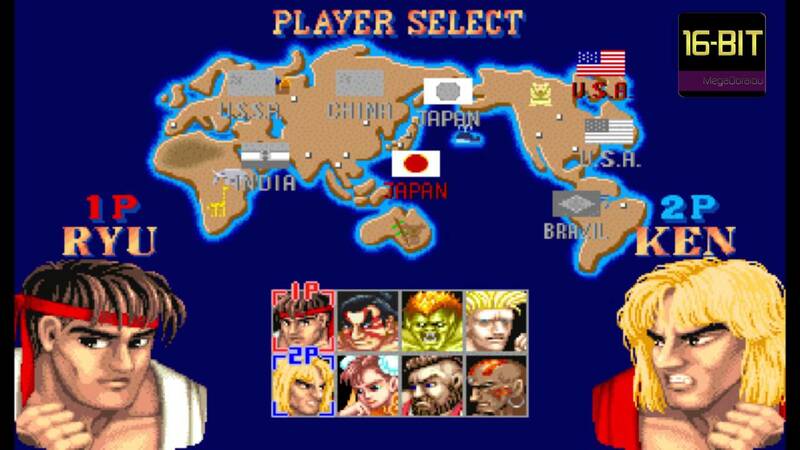 Thank you Street Fighter II for everything you got right and for blazing the trail for what video games could be! Previous Article It’s Street Fighter Week on In Third Person!